Whether you like it or not, school is back in session. I mean, if you've spent any time on the internet this month, you've surely noticed pictures of children holding chalkboard signs, lunch bags and backpacks are everywhere — celebrity Instagram feeds are no exception. Stars: They're (obsessed with their kids) just like us. Here are a few of our favorite celeb kid back-to-school snapshots. Sarah Jessica Parker's youngest children, Tabitha and Marion Loretta (not pictured), headed off to fourth grade this year — and it seems Mama SJP couldn't be happier. The ever-adorable self-proclaimed nerds Kristen Bell and Dax Shepard held their daughter's hand as they walked her to her first day of kindergarten. 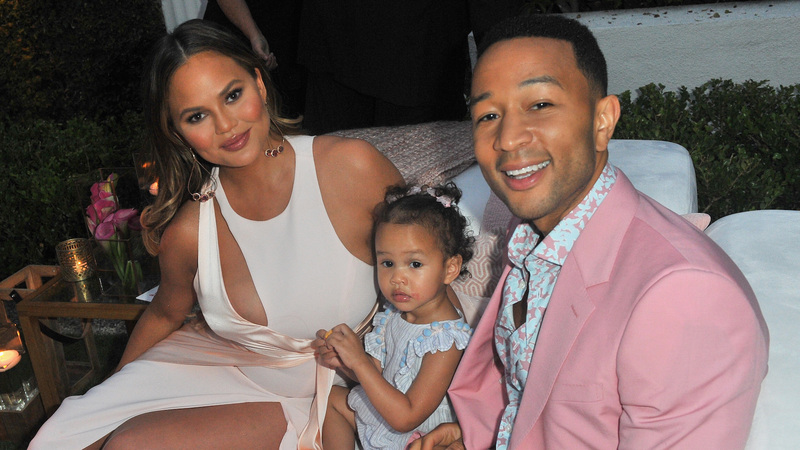 Armed with a backpack and book, Luna Simone Stephens — daughter of Chrissy Teigen and John Legend — looked so ready for her first day of school. Mario Lopez's daughter, Gia, was all smiles on her first day of second grade. Someone is excited for his first day of school next week. Getting all our goodies set including some of our family favorites like @zolidays @babytula @avery #minions and keep it all organized with @mabelslabels. Love to have some @itzyritzy zipper bags on hand instead of plastic bags for loose snacks to keep on our #plasticfreejuly kick in August! Thanks @ggbenitezprinc & @marquecomm!! Tucker Hart, the youngest of Melissa Joan Hart's three children, looks all ready to start school next week. Jamie Lynn Spears' 10-year-old daughter, Maddie, donned her school uniform earlier this month for the start of fifth grade. Finn McDermott — son of Tori Spelling and Dean McDermott — also started kindergarten this week, and according to his mom, he is "so excited to join his older brother and sisters." Tamera Mowry’s eldest child, Aden, may just be the most stylish 5-year-old we have ever seen. I mean, look at that jacket! Candace Cameron Bure wrote an emotional Instagram post when she sent her "baby" to junior high school.